Kris Gethin is a writer and photographer for Bodybuilding.com. He created both the 12-Week Daily Video Trainer and Dramatic Transformation Principle (DTP) programs. During the next 12 weeks, he also serves as our virtual personal trainer. 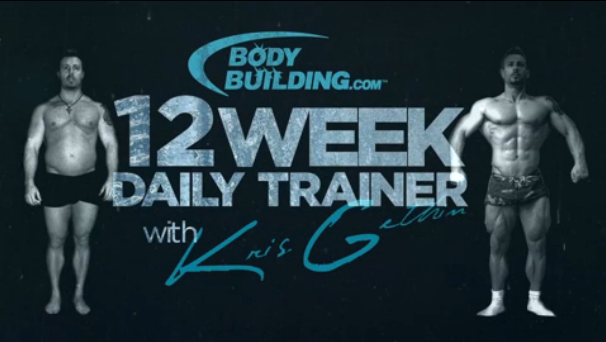 What Is The 12-Week Daily Video Trainer? 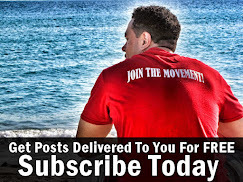 The 12-week daily video trainer is a free program hosted by Bodybuilding.com. 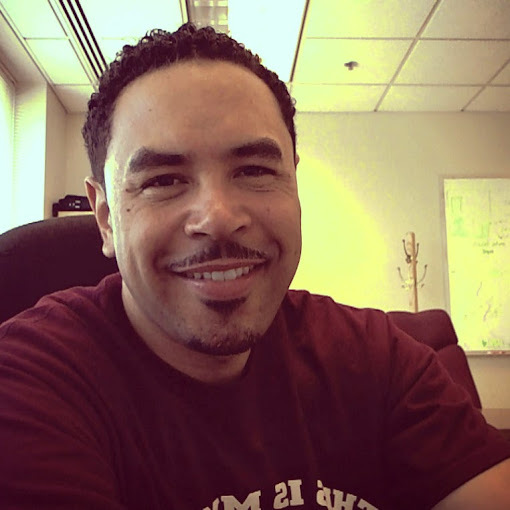 Over the course of 84 days, Kris releases a video each day that talks about a number of topics ranging from the varied workout routine to possessing a positive mindset. Right before our eyes, he starts the transformation at 230 lbs and drops down to 201 lbs by the end of the program. As it pertains to food, Kris says "Nutrition is one of the most crucial components to full body transformation. Making healthy food choices doesn't have to be difficult, but it does have to be deliberate. Preparation and consistency is the key to making this transformation different from all other failed attempts." Drink 1-2 gallons of water per day. Keep a gallon size jug of water with you. Cook all your meals the night before. This will save you time in the morning. Grill your food. This reduces the amount of fat you consume. Measure your food with a scale or compare it to the size of your fist. If your food is too bland, add some spices like: Ginger, cayenne pepper, and salt. Only use Truvia as a sweetener. No sugar! Use cooking spray to coat pans. Avoid oils of any kind. In the beginning of the 12-week program, Kris provided a list of supplements that he recommended we take. However, as the weeks went by, he either mentioned or listed additional items along with tips on how to take them. This section attempts to remain as close to the supplement stack mentioned on the web and during his videos. With that written, I have provided pictures of specific products that I am using throughout the transformation. As an example, where Kris mentions multivitamins, I have introduced GNC's Mega Man Sport. In an effort to remain as transparent as possible, I will do my best to identify where I have selected one product over another. For now, please know that the pictures provided below are my own. Protein power. Try for one that contains protein isolate for fast digestion. As with any body transformation, people want to know how well a program works. I believe everything works if you work it. You get out of a program what you put into it. No work, no rewards! In this section, I keep a running tally of my own journey. Each week (around Monday), I will return to this area to update both my measurements as well as photos. *Note: After losing 24 lbs during my first transformation, I took a few months off. The second 12-week transformation began on July 20, 2014. ** Note: I stopped using the fat caliper and began doing a visual inspection to determine body fat % against images provided on Bodybuilding.com. This will account for the major difference in lean body mass, body fat mass, and body fat percentage. If you're here to get more information about Kris' 12-week program, I would definitely encourage you to take the leap with us. While I may write about the program here, I spend a great deal of time over at BodySpace.Bodybuilding.com. BodySpace is an online community where you can post pictures, find friends, and get inspired by all of the many success stories. Sound like fun? Great! Come check out my BodySpace and let's connect. While you're here, go ahead a leave me a comment below. Have you started? How has it been going for you? How much weight have you lost so far? Want to find other great BodySpace friends, leave your profile URL below.